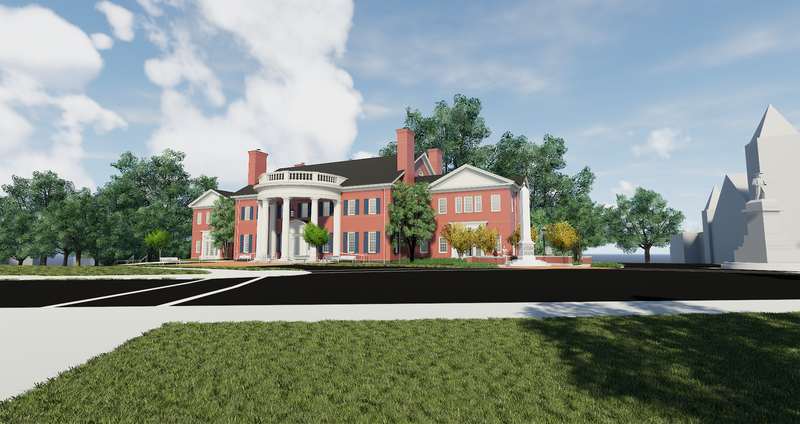 GLAVÉ & HOLMES ARCHITECTURE was hired to study potential sites for the location of the new Admissions Building for Longwood University. 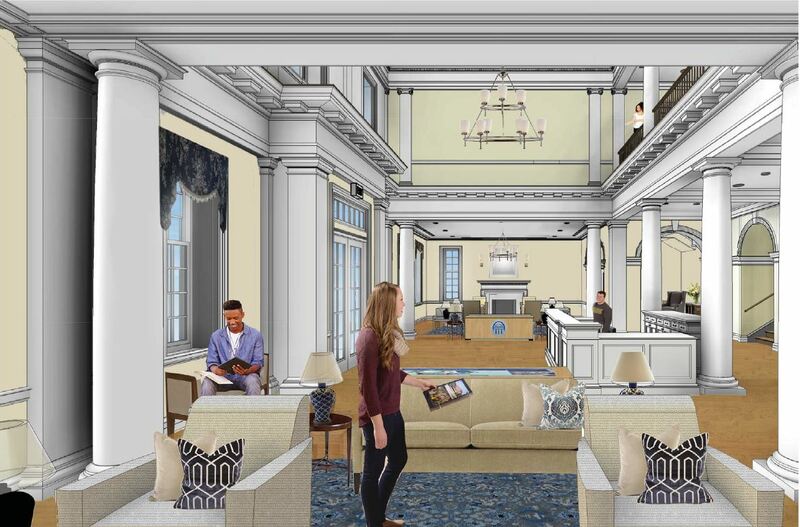 Following comprehensive site investigations, conceptual site plan configurations were used to help evaluate the pros and cons of each site from various participants and together identify the best site for the Admissions Building. The historic High Street site was chosen based on the important criteria of providing a great first impression to the overall visitor experience, the ease of integration with Admissions Tour Routes, and the ability to provide dedicated parking for the Admissions Office. The new building extends the University’s Jeffersonian Classical tradition and offers a recognizable front door to the campus experience. A directive from the University, this Classical response will make a strong visual connection between this building and the rest of the historic campus. Additionally, the building’s scale, massing, and details are in response to the historic residential fabric found north of High Street. The building’s side wings, pitched slate roof and chimneys give a residential quality to this welcoming first impression. 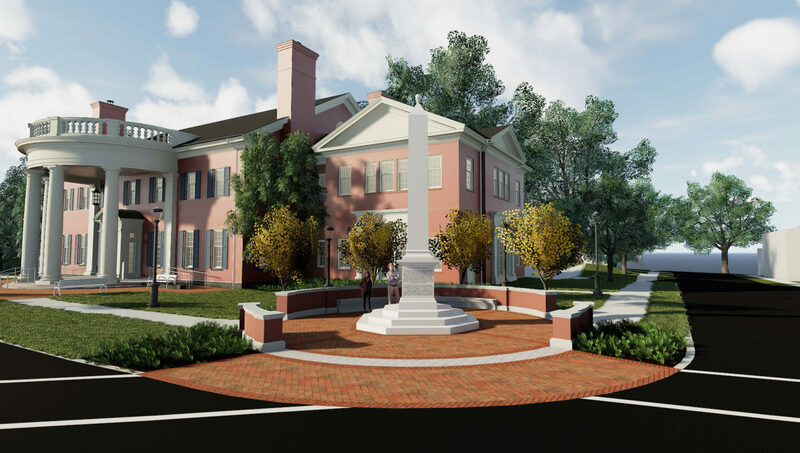 The team worked with the University to design a 16-foot tall obelisk, which stands in front of the Admissions Building and honors those who fought to expand American liberty. There will be historical exhibits tied to the monument inside the building.